Most Westerners have been introduced to Omar Khayyam through Edward Fitzgerald's 1859 popular translation of nearly 600, four-line poems known as the Rubaiyat. That collection profoundly influenced perceptions (and misperceptions) of Persia at the time. 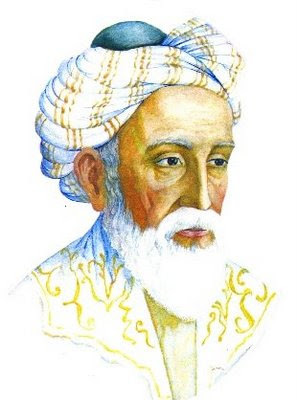 In the Islamic world, Khayyam is celebrated as a mathematician and astronomer. Amin Maalouf, a Paris-based Lebanese writer who won the Prix Goncourt in 1993, sets the record straight in his marvellous blend of fact and fiction, Samarkand. The novel not only imagines the history of the manuscript of the Rubaiyat, it recreates the city of Samarkand in the 11th century AD, a renowned centre of beauty and learning. He led significant studies on compiling astronomical tables and he also contributed to calendar reform: in 1079 Khayyam measured with astounding accuracy the length of the year as 365.24219858156 days. Today we know that a year's length is 365.242190 days. 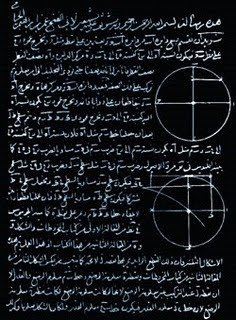 The calendar, known as the Jalali calendar, was used throughout the Perisan empire until the 20th century and, following a modification in 1925, is the basis of the modern Iranian calendar. Omar Khayyam died in 1131, aged 83, and his mausoleum in his hometown of Nishapur is visited by hundreds of thousands of people every year. The mausoleum's interior and exterior walls are decorated with his quatrains inscribed as inlaid tile works. And please try to pick up a copy of Maalouf's Samarkand, published in Abacus paperbacks. It's an evocative and beautifully written story.